September 12, 2017 – SAVANNAH, GA – CZM Foundation Equipment announces the completion of its 100th machine, an EK300, at the US Factory. 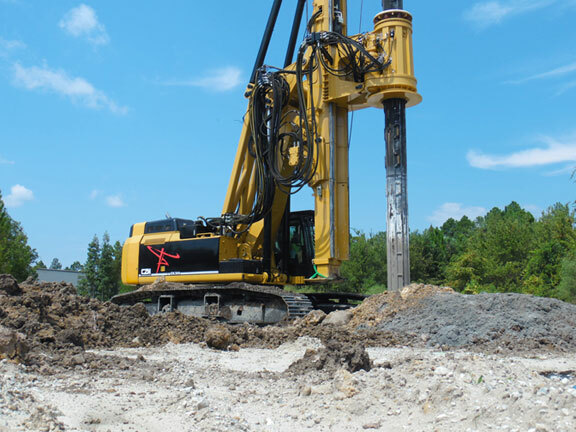 As the leading manufacturer in Drill Rigs, the EK300 incorporates a CAT 349 base with a fully integrated undercarriage, and delivers greater maximum torque and increased main winch pull force. It’s the only machine of its size designed and built in the USA. The EK300, our 100th machine can be identified by its serial number SAV0100. “We’re so proud of the US team and the production of the 100th machine. The EK300 is the most powerful, largest machine we offer so it is always exciting to produce this model. Our goal is to increase production by 20% per year over the next 3 years and also manufacture 200 machines delivered in the US market by 2020; we’re hitting all the hash-marks to make that happen – it’s an exciting time for the company and its employees,” said Giuliano Clo, President of CZM-US.